Discussion in 'Headphone & Earphone General Discussion' started by Lauri Cular, May 3, 2017. It's nice to not be cold and wet, but any fans of over-ear headphones might not be looking forward to summer's promise of heat. Even if staying completely still (one of my favourite activities), things can get a bit sticky under those leathery earpads; never mind rushing around getting on Tube trains and hauling cases of football beer home for those UEFA matches. We may as well be listening to Keith Sweat or Grace Slick, and our ears come out as wrinkled as a prune's nutsack. But worry no more, as instructables saves the day. Search for 'sockophones' if you fancy a woolly way of keeping cooler ears. If you're a fan of cheesy music, then sockpads can make sense. However, if you wish to venture out in public it might not be so great. 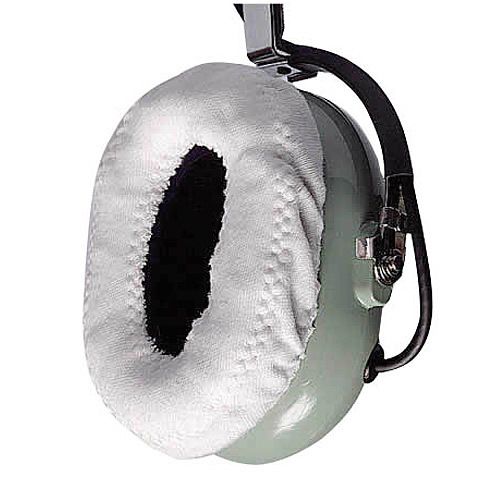 Another idea is the hygiene covers often used by air traffic controllers and pilots, so that headsets can be worn by anyone without fear of catching the dreaded ear lurgy. These will stretch over most earpads and give a little bit of breathability without sacrificing the seal too much. If you're on the London Underground though, just don't wear headphones. Get some ear protection or some decent sealing earphones as the noise down there is horrendous!